The trail goes uphill through rocky path. 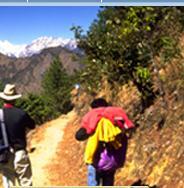 The path goes through rocky stones to reach to Gokyo lake . possibly to climb Gokyo peak in afternoon. 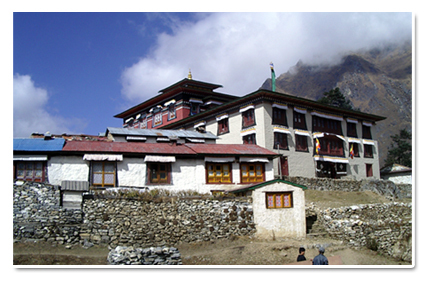 Day 18 Phakding-Lukla (2860m) - 3 hours, reconfirm the flight tickets. Day 19 Fly to Kathmandu for 45 minutes from Lukla.